Home is where the hearth is. Want your new, custom-designed kitchen to be welcoming, warm, and comfortable? 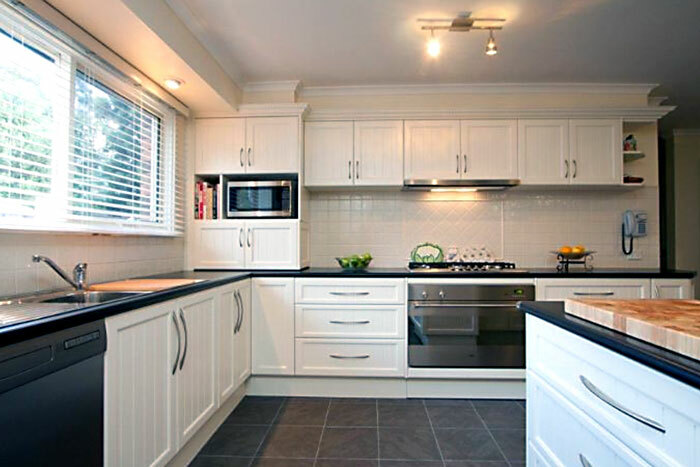 Grandview Kitchens can help you build a traditional kitchen with modern functionality. Kitchens have long been the centre of our homes, and traditional kitchen design pays homage to their important place in our lives. Traditional kitchen styles with Grandview Kitchens take the warm, welcoming, timeless aspects of traditional kitchen design and fit them to your modern lifestyle. Traditional kitchen design is warm, welcoming and comfortable. A traditional-style kitchen from Grandview Kitchens is charming and cosy. Imagine seating your family around a big farmhouse-style table for a holiday meal, or pulling a big cake out of your new, but classically styled, oven. A traditional kitchen style doesn’t have to mean traditional features. Grandview Kitchens can design, build and install a traditional kitchen for you with a winning combination of traditional styling and modern comforts. 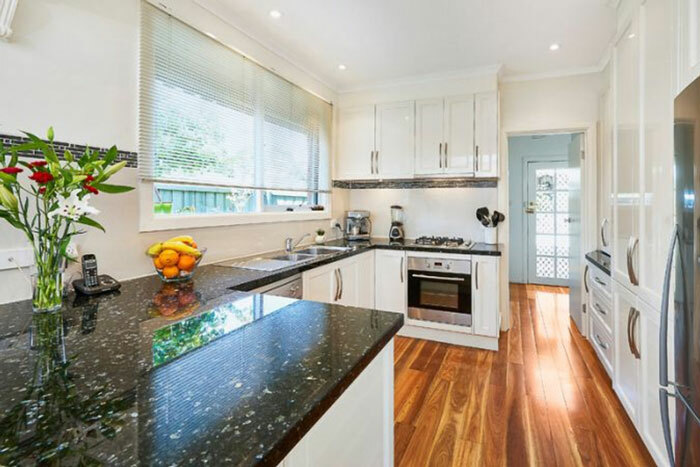 Enjoy a cosy, comfortable, inviting kitchen, with all the ‘mod cons’. Traditional doesn’t mean old-fashioned – instead, with Grandview Kitchens, your traditional kitchen can incorporate the best aspects of modern kitchen technology with timeless design. 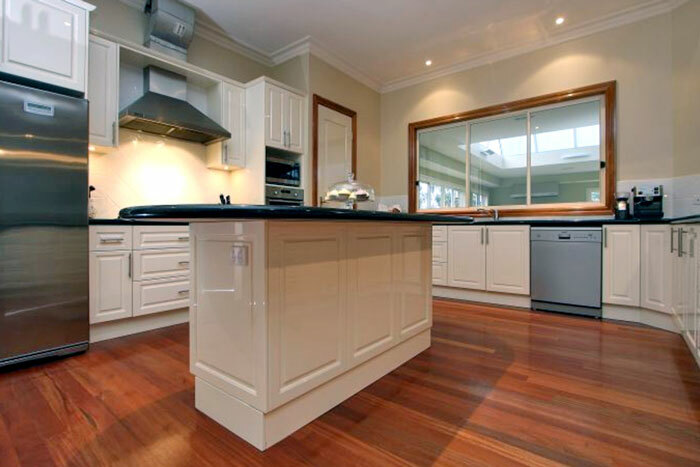 You can combine a traditional kitchen appearance with modern, quality European and Australian appliances. Learn more about fitting appliances into your traditional kitchen in our Appliances section. Traditional kitchens are an investment in your home. They are less likely to ‘date’ your home, and they never go out of fashion. Instead, your investment can increase the value of your home for years to come – as well as being a joy to live with. Traditional kitchens, not boring kitchens! At Grandview Kitchens, choosing a time-tested traditional style for your custom-made kitchen gives you a wealth of colours and appearances to choose from. There’s no need for your traditional kitchen to be boring! Our talented and experienced kitchen designers can help you choose the right look and products to bring your dream kitchen to life. Warm colours and materials give your traditional kitchen a natural, welcoming feel. Your family and friends will love visiting your kitchen and feeling at home! So many things in life come and go, but a custom-designed, traditional-style kitchen from Grandview Kitchens isn’t one of them. Its lasting charm and quality build will delight for years to come. Want to make your kitchen the heart of your home? Contact us to visit our showroom or organise an obligation-free consultation.